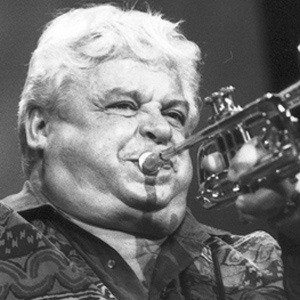 Canadian jazz trumpeter and bandleader known for his remarkable ability to hit high notes. He became leader of the Birdland Dream Band in 1956. He lived with Timothy Leary for a time in the early 1960s, experimenting with a variety of psychedelic drugs. He first played the piano and violin as a child before finding interest in brass instruments. His first solo performance was for the Canadian Broadcasting Corporation Orchestra, where he was billed as a child prodigy. He garnered fame as part of Stan Kenton's orchestra. He was inducted into the Down Beat Jazz Hall of Fame in 1992. He was born to two musicians. He fathered three daughters, Corby, Wilder, and Lisa, with his wife Flo Ferguson. He and Miles Davis were contemporaries and were both jazz trumpeters and bandleaders.